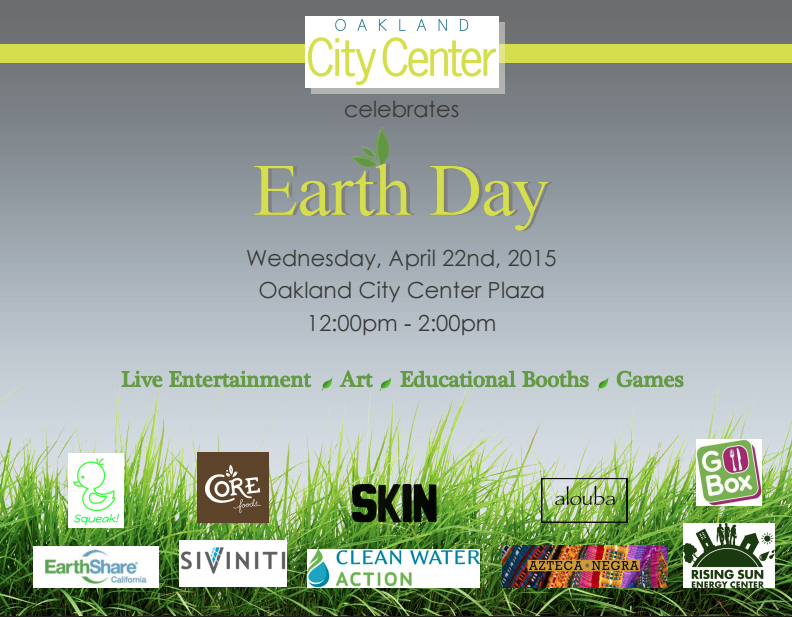 In honor of the 45th Anniversary of Earth Day, Skin World Wide is proud to participate in “Celebrate Earth Day” at City Center Plaza in beautiful downtown Oakland. 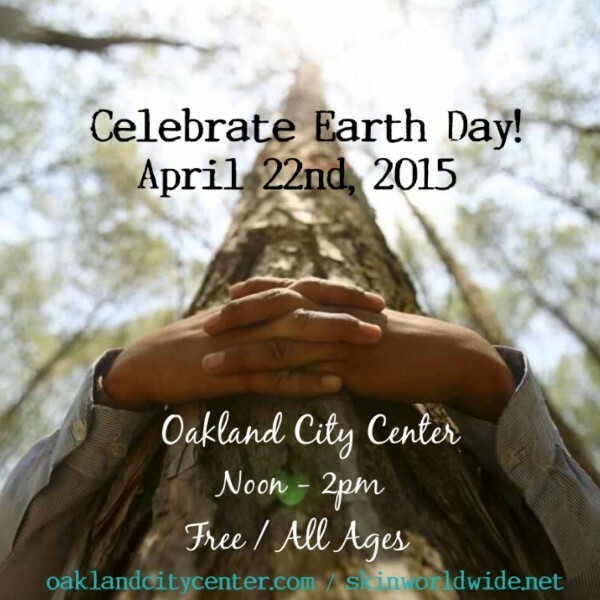 Please join us for an afternoon of soulful fun and eco-activism, featuring live entertainment with DJ Cecil + Percussionist Ajayi Jackson, Samba Queen Cherri Hicks & Special Surprise Guests. We’ll also be welcoming local artisans Alouba Arts, Azteca Negra, Clothes For The Soul, James Gayles & Ritual By Design as well as educational booths, information on green living & sustainability, recycling, energy conservation and more! Special Thanks To: Alouba Arts, Azteca Negra, Clean Water Action, Clothes For The Soul, Core Foods, Earth Share California, Go Box, James Gayles, Rising Sun Energy Center, Ritual By Design, Sivinti and Squeak for their invaluable presence and support.